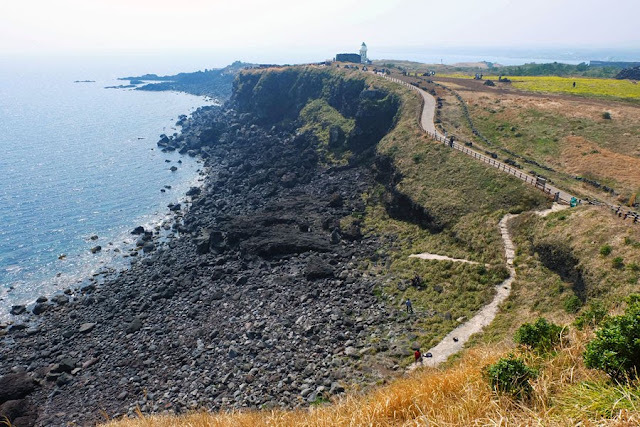 On my fourth day in Jeju, I was left to my own devices and I went on to explore a bit of the east side of Jeju. 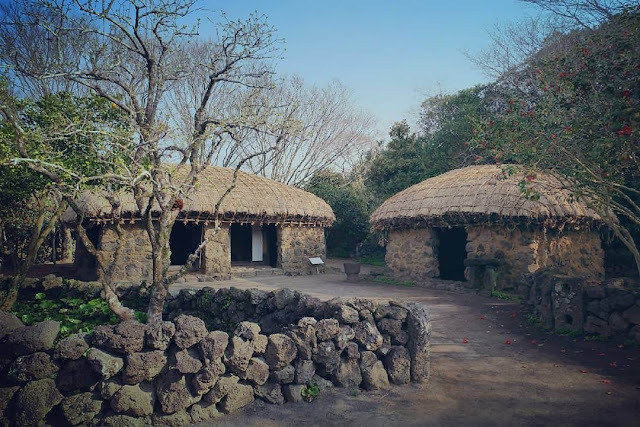 Jeju Folk Village is a large open-air museum showing the different kinds of villages (mountain village, fishing village, shaman village, etc) in Jeju in the 1890s. 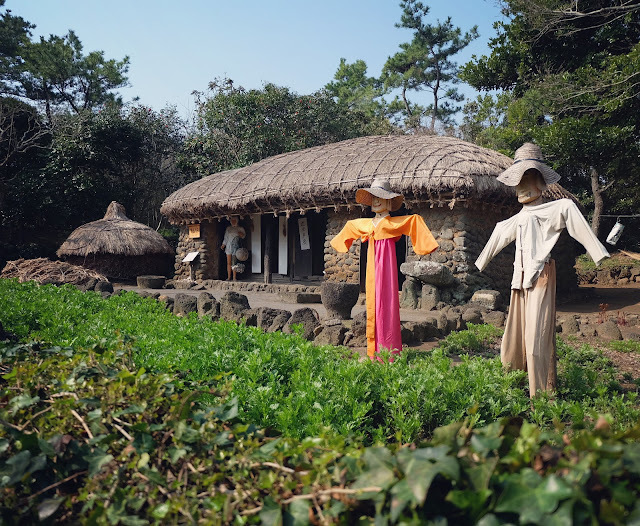 (For K-drama aficionados, Jeju Folk Village was the filming location for Jewel in the Palace.) 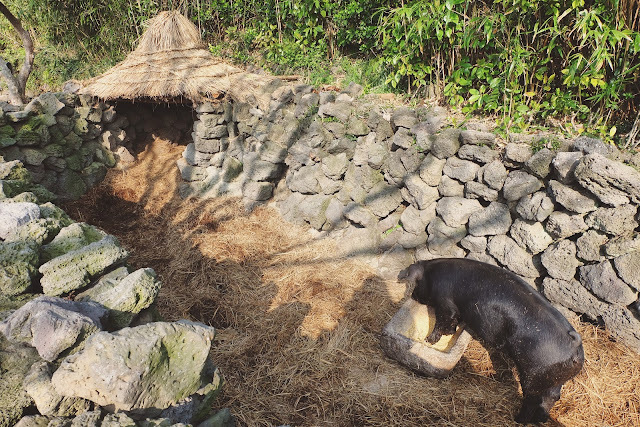 There were different kinds of houses, complete with tools, earthenware, and even animals (like a donkey, a cow, and a black pig!). 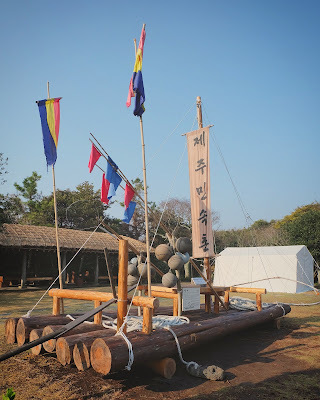 There were also exhibition halls for fishing tools, farming tools, local crafts, and earthenware. 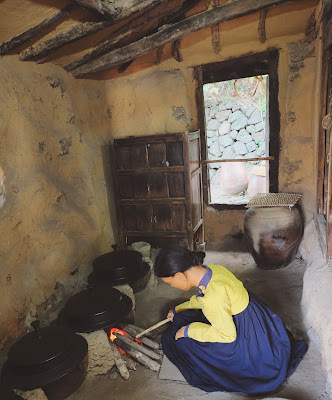 It was quite interesting to see how Jeju people lived over a hundred years ago. 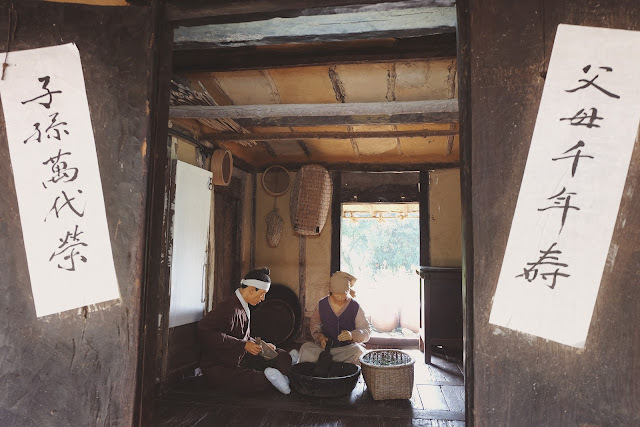 There are three scheduled 30-minute folk performances (1120AM, 130PM, 330PM) but I did not get to see any of them as I had to leave Jeju Folk Village by 1030AM to catch the bus to Seopjikoji. Directions by bus: From Jeju Intercity Bus Terminal, take bus 221 to 제주민속촌 Jeju Folk Village bus stop (last stop; 1 hour). The beautiful coastline of Seopjikoji peninsula starts at the sandy Sinyang Beach 신양 해변 where there are benches to just chill, feel the breeze (or if it's a strong wind, get pelted by sand), and take in the view of Seongsan Ilchulbong in the distance. Following the road into Seopjikoji, the landscape changes into a rocky coastline then to grassy areas and a Canola flower field. Along the way there is an aquarium called Hanhwa Aqua Planet Jeju 아쿠아플라넷 제주; The Glass House (a building designed by the Japanese architect Tadao Ando), which houses Mint Restaurant and the Zippo Museum; a lighthouse; a building that looks like candy; the remains of an old signaling site called Hyeopja Beacon Fire Station 협자연대; and an art gallery called Yumin Art Nouveau Collection 유민미술관 which is housed in a building called Genius Loci 지니어스 로사이 (also designed by Tadao Ando). 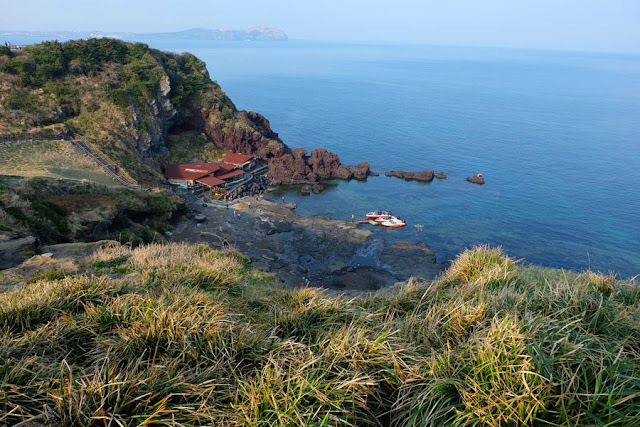 It was spring and the walk from the entrance of Seopjikoji down to the southern tip of the peninsula was long but comfortable. The sun was out, but the breeze kept me cool, and the landscape all around kept my eyes busy. 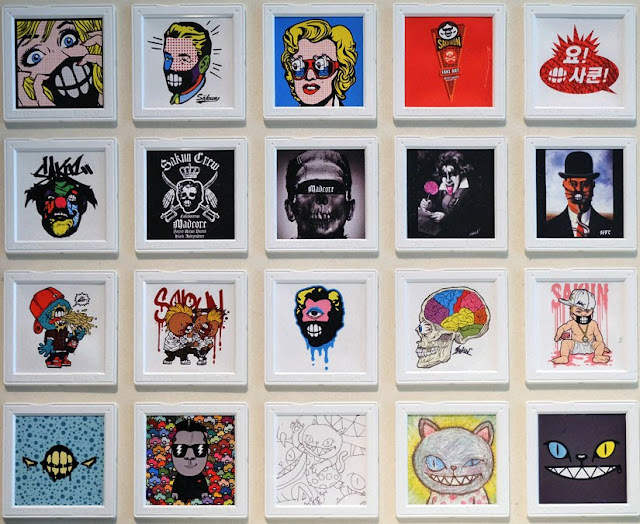 I didn't stop by Hanhwa Aqua Planet, but popped into Zippo Museum and checked out the artworks and the humongous artsy Zippo lighter cases. I also went to the lighthouse for sweeping views of the sea and of Seopjikoji. Continuing my hike south, I passed by a poorly maintained and off-limits building that was designed to look like candy, until I reached the Hyeopja Beacon Fire Station, which from afar looks like a small mound of rocks. 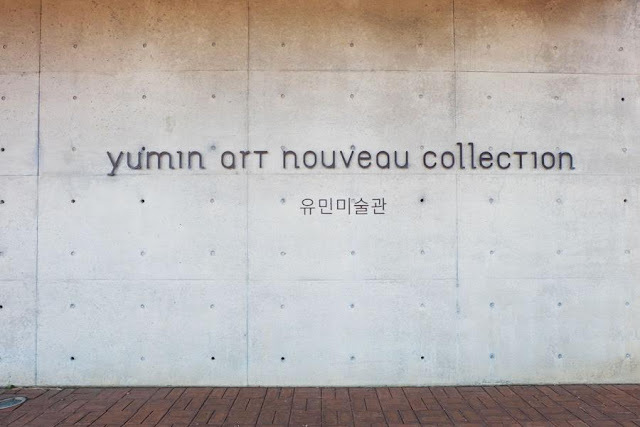 On my way back, I went to see the Genius Loci building but it was Tuesday, the day when it (and the Yumin Art Gallery within) is closed. 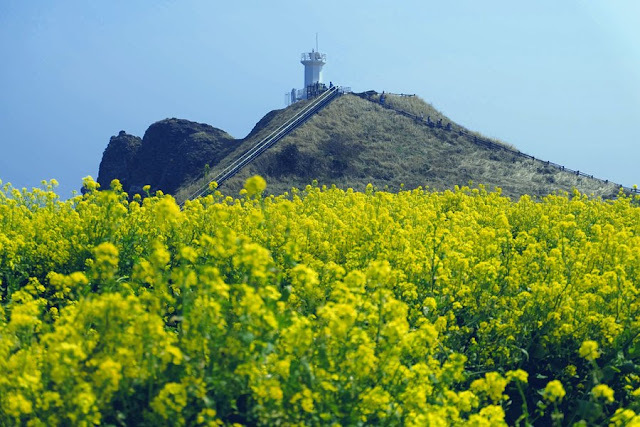 Nearby, I spotted a field of canola flowers where I took some photos before hurrying back to the entrance to catch the bus to Seongsan Ilchulbong. 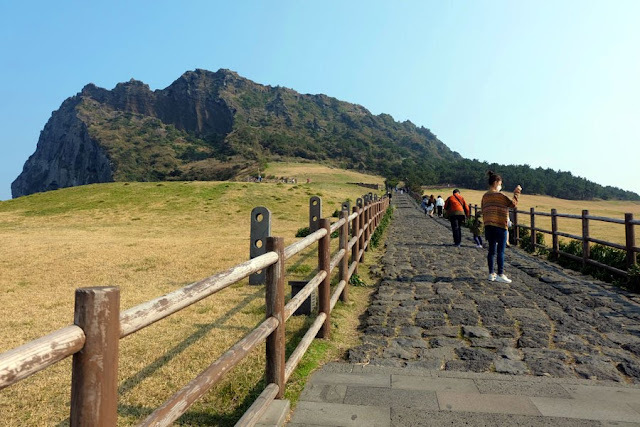 From Jeju Intercity Bus Terminal, take bus 201 to 성산포 수협 Sungsanpo Waterworks bus stop (95 minutes) and transfer to bus 295 to 섭지코지 Seopjikoji bus stop (3 minutes) or walk 2.5 km to Seopjikoji entrance. Be aware that bus 295 only comes 10 times a day. If you don't want to transfer, take bus 201 to 신양리입구 Sinyang Entrance bus stop (100 minutes) and walk 1.5 km to Seopjikoji entrance. 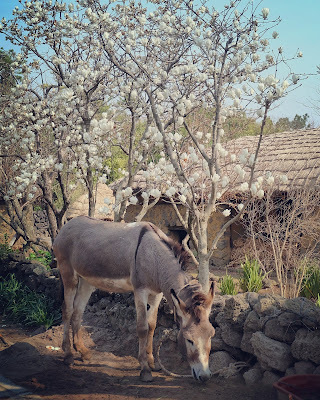 From Jeju Folk Village, walk 1 km to 표선환승정류장(표선리사무소) Pyoseon Transit Stop bus stop and take bus 295 to 섭지코지 Seopjikoji bus stop (40 minutes). Be aware that bus 295 only comes 10 times a day. 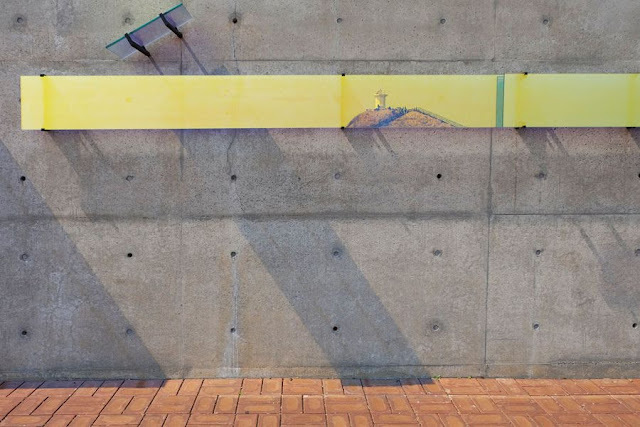 If you miss bus 295, take bus 201 to 신양리입구 Sinyang Entrance bus stop (40 minutes) and walk 1.5 km to Seopjikoji entrance. 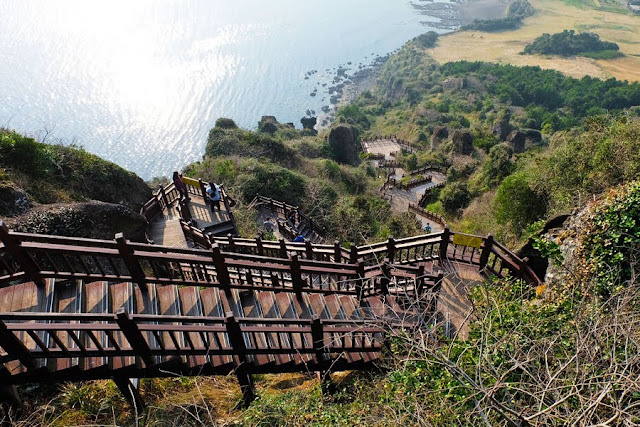 Seongsan Ilchulbong, a UNESCO World Heritage Site, is a 180-meter high volcanic tuff cone. 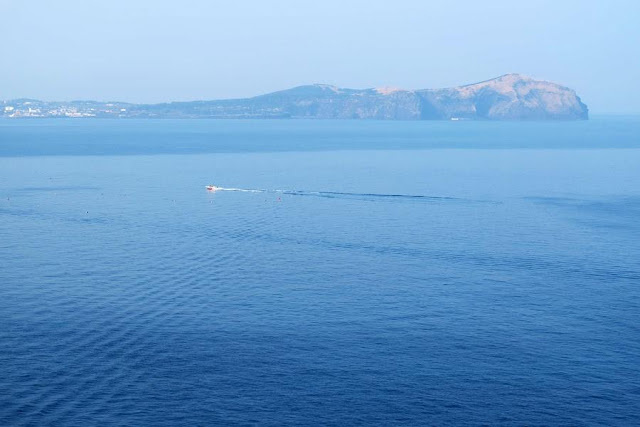 Tuff cones are formed from the interaction between rising magma and bodies of water. Tuff cones are between 100 to 300 meters high and have steep sides and a wide and broad crater at the top. Seongsan Ilchulbong's crater is about 600 meters in diameter. Seongsan Ilchulbong is also called Sunrise Peak, and people who have cars go to Seongsan Ilchulbong early to watch the sunrise. But people like me who can't afford or are too cheap to rent a car won't be able to catch the sunrise if taking a bus. No sunrise, no sunset, I still decided to make it Leg Day by climbing the stairs to the peak. The peak can be reached in 20 minutes, but I took many breaks to catch my breath and reached the peak in half an hour. Up top, the bleachers on the viewing deck afforded a view of the grassy crater. Back down below, I checked out the surrounding area where the Haenyeo (female divers who don't use scuba gear) are (but the performance schedule was already over), and the viewing area where one could see Udo Island in the distance. From Jeju Intercity Bus Terminal, take bus 201 or 211 or 212 to 성산일출봉입구 Seongsan Ilchulbong Entrance bus stop (95 minutes). From Seopjikoji, take bus 295 to 성산일출봉입구 Seongsan Ilchulbong Entrance bus stop (10 minutes). Be aware that bus 295 only comes 10 times a day. If you miss bus 295, walk 1.5 km to 신양리입구 Sinyang Entrance bus stop and take bus 201 to 성산일출봉입구 Seongsan Ilchulbong Entrance bus stop. Note: Since I was staying in Jeju City, the directions I have provided above start from Jeju Intercity Bus Terminal. If you are staying in Seogwipo City, use Google Maps to find nearby bus stops and what buses to take. If you can read Korean or have the patience to use Google translate (though the translation is not perfect), the Jeju Bus app or the Jeju Bus website is a more accurate option than Google Maps. 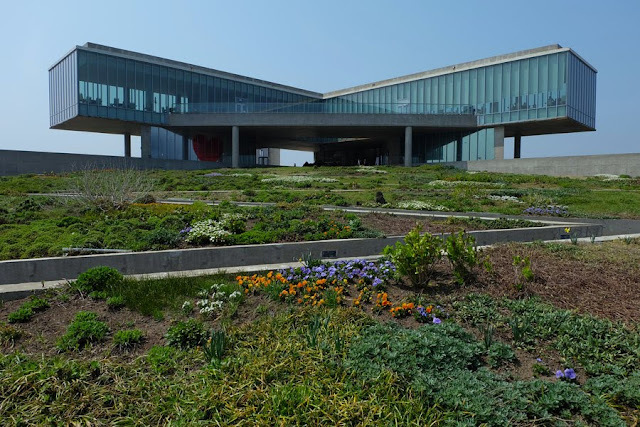 In the map below, I have pinned two places that you might also want to stop by: Gwangchigi Beach, for a view of Seongsan Ilchulbong, and the Canola Flower Fields, if you're visiting in spring.